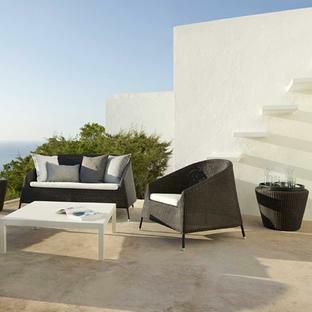 Indoor styled furniture but for the outside. 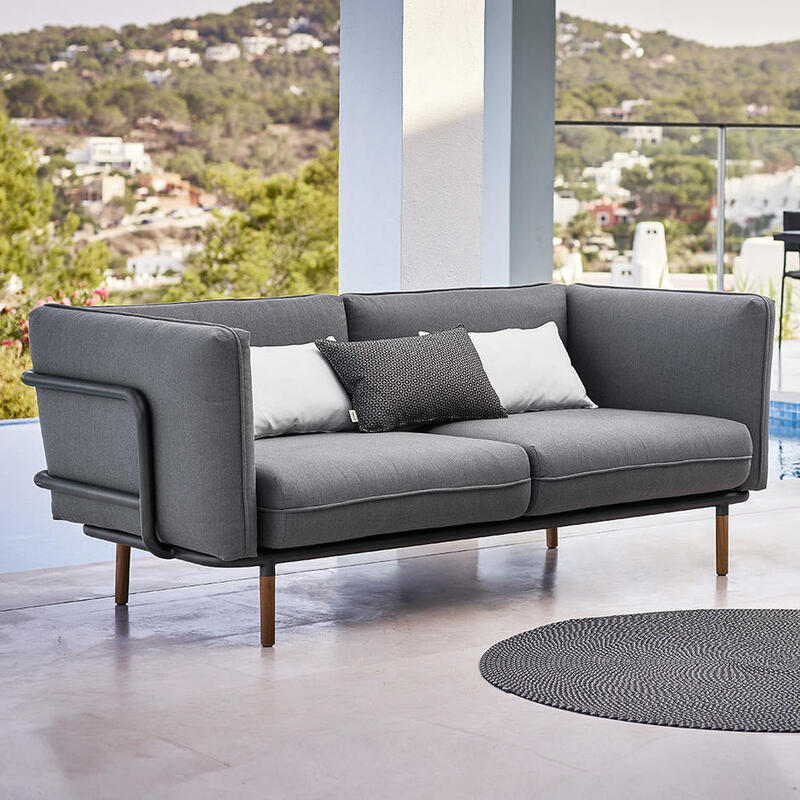 The Urban 3 Seater Sofa is designed by ByKATO for Cane-line and has strong urban styling, but with soft, cosy corners and cushions it is modern and simple. 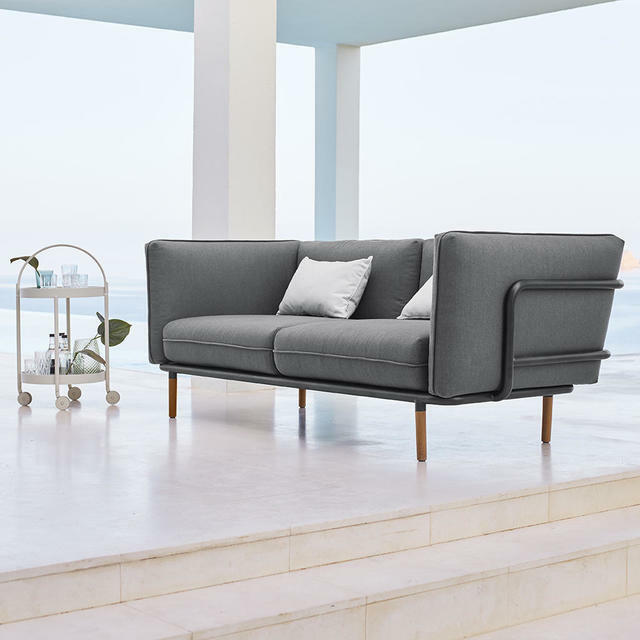 The sofa is made over a strong aluminium frame with teak detail, the deep cushions made from all weather Sunbrella Softtouch QuickDry cushions. The cushions are in a soft grey colour and the frame is in a dark lava grey colour. 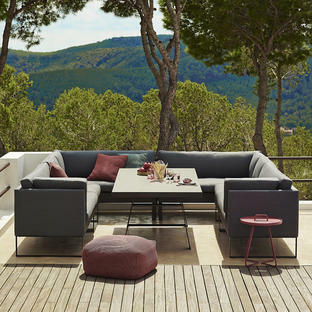 Try the Urban Outdoor sofa with the Roll side table or the armchair from the Moments collection. 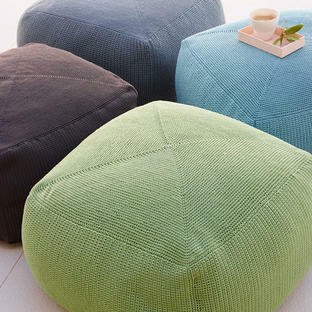 Scatter cushions can be ordered separately for extra cosiness. 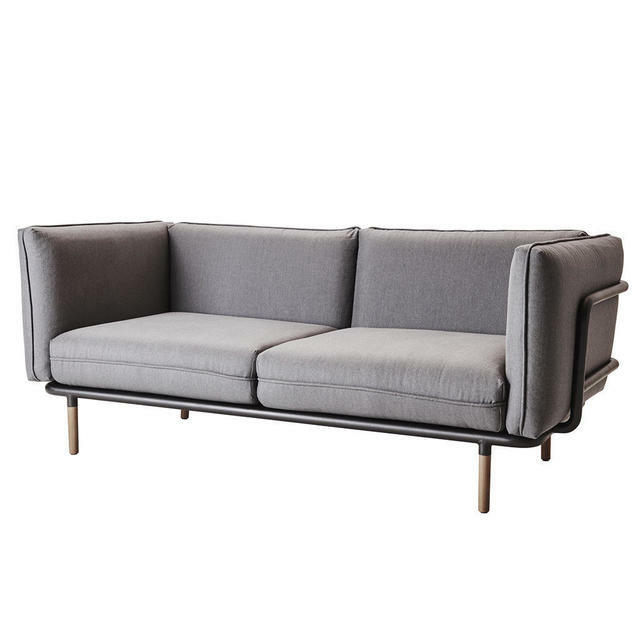 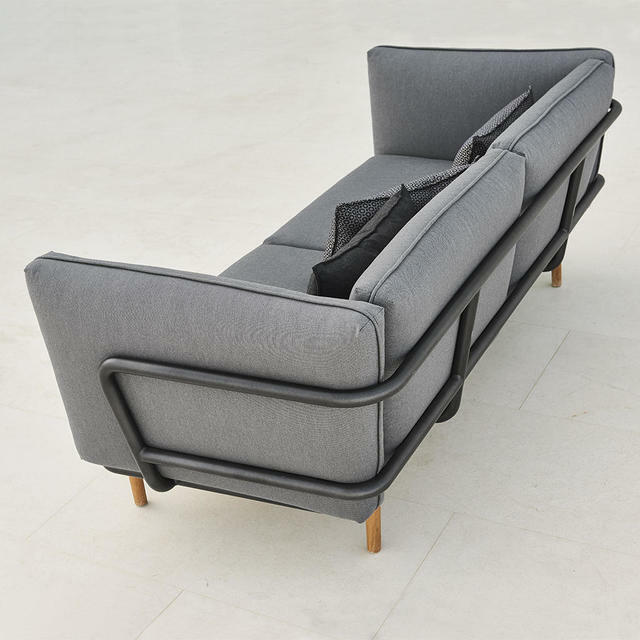 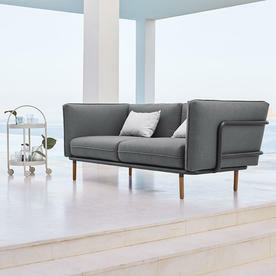 The sofa has a Cane-line Powder Coated Aluminium Frame in lava-grey.